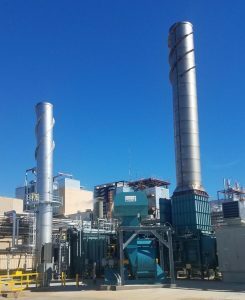 Combined Heat and Power (CHP) is an efficient and environmentally beneficial approach to generating electric power and useful thermal energy from a single fuel source; typically increasing efficiency up to at least 75% over traditional energy generation. The U.S. Department of Energy estimates the technical potential for combined heat and power applications in Tennessee to be greater than 4,000 MW at more than 6,000 sites in Tennessee. There are presently 19 sites with CHP systems in Tennessee. Therefore, there are substantial opportunities in this state for industrial, commercial and institutional facilities to realize the resilience and potential cost-savings benefits of CHP. The U.S. DOE Southeast Combined Heat and Power Technical Assistance Partnership (CHP TAP) provides technical assistance and guidance to help candidates determine the viability of CHP to help achieve their sustainability and energy security objectives. On December 12, tune in to a webinar for an overview of CHP, including technologies, fuel diversity and overall benefits of these systems with a webinar on Building Energy Resilience in Tennessee. The webinar will also reference installed projects in the state and provide information on the assistance the Southeast CHP TAP provides to facilities across the region. Art Samberg, Assistant Director for the DOE Southeast CHP TAP and Program Director at NCCETC will lead the webinar presentation. Contact Kimberly Conley at NCCETC or Caleb Powell with Tennessee State Government with questions.